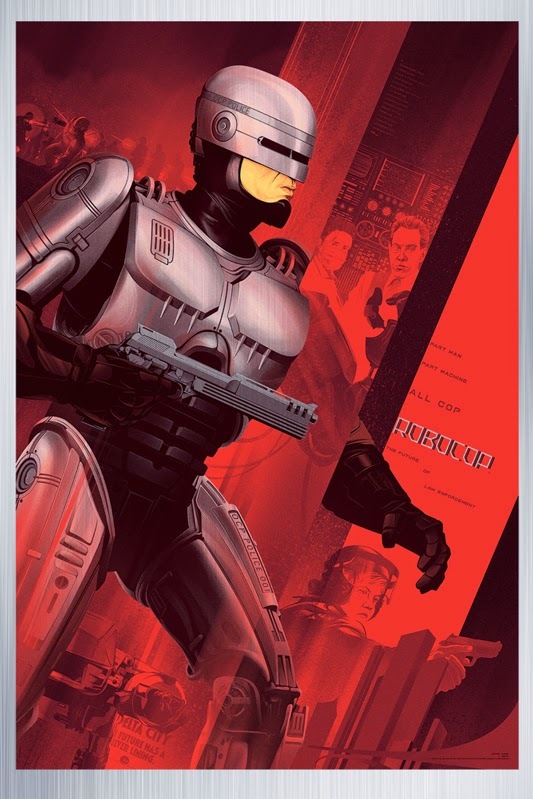 Mondo is once again doing posters for the all time Paul Verhoven science fiction 1987 action classic: Robocop. This time around Mondo has employed the talents of Tom Whalen and Ken Tong. The slim 12x36 is the Whalen piece that will be limited to 300 and cost $45. Tong has three versions of his posters all that measure 24x36: the red regular edition will be limited to 300 and cost $45, the gold variant edition will be limited 150 and cost $65, and the super rare metal edition will be limited to 35 and cost $300. 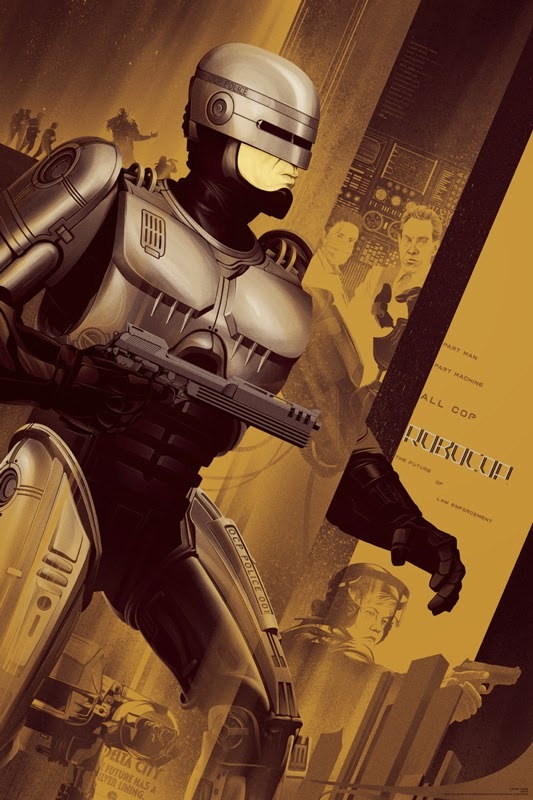 At this point it has almost become a right of passage for Mondo Artist to do a Robocop poster. 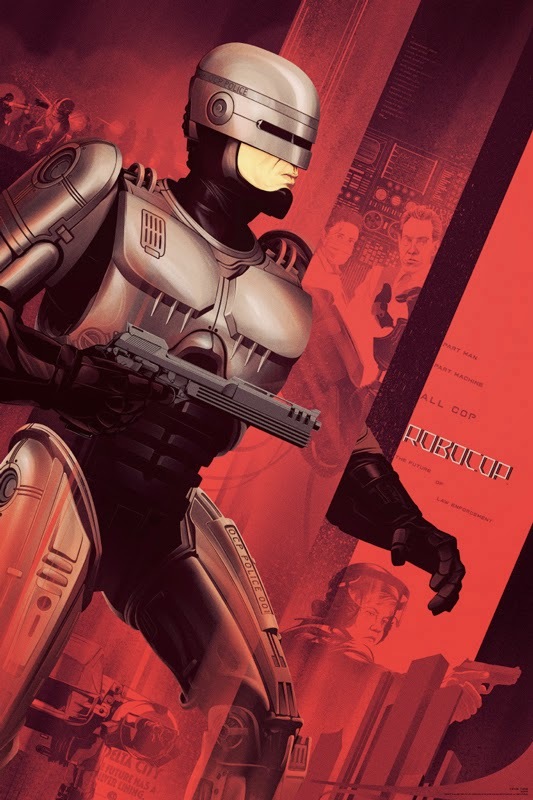 While these do not compare to the versions that Tyler Stout and Olly Moss did for the film they rank above all other verisions that included the likes of Tim Doyle, Jay Shaw, Martin Ansin, and Todd Slater. These will go on sale today at the Mondo Store at a random time today June 12th!  Thanks to Germain Lussier and /FILM for the beautiful scoop!